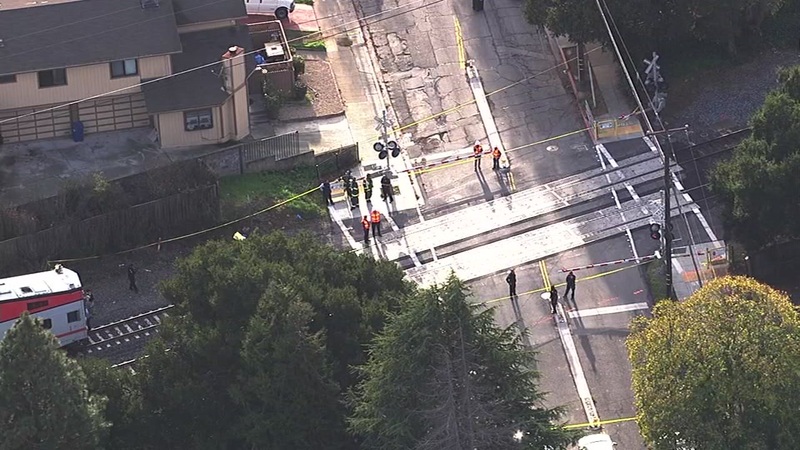 SAN MATEO, Calif. -- A man was fatally struck by a train while on the tracks in San Mateo Tuesday afternoon in the ninth fatality for Caltrain this year, according to a Caltrain spokeswoman. The incident occurred around 2:35 p.m., when a southbound train struck the man near Bellevue Avenue, between the San Mateo and Burlingame stations, Caltrain officials said. It appears that the fatality was intentional, Caltrain spokeswoman Tasha Bartholomew said. About 700 passengers were onboard at the time, however, none of the passengers were injured, according to Bartholomew. Following a preliminary investigation, trains were single tracking at reduced speeds in the area. The scene has since been cleared and service has resumed in both directions with delays of up to 44 minutes, Bartholomew said. The number of fatalities that have occurred on the tracks is down this year compared to last year. Last year, 20 fatalities were reported, according to Caltrain officials.